Without prospecting, your company isn’t going to be able to bring in new sales and your profits aren’t going to increase as they should. One of the most important things you need to do is engage in effective B2B marketing so that you can prospect properly and find new buyers for your products and/or services. You need to keep up with B2B Marketing Trends in order to stay ahead of the competition and close the deals your competitors are missing out on. Outbound telesales (i.e, cold calling) has long been a staple of sales strategies at companies operating in any imaginable industry. 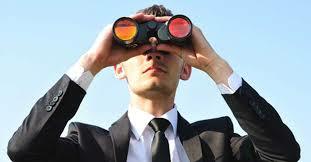 It remains an important means of prospecting for most companies. Telesales isn’t often about landing a sale on the first call. It’s more about building a relationship over time and learning what the needs of prospective customers are. Cold calling is a form of outbound marketing. It requires salespeople who are personable and persuasive. When it comes to the success of cold calling as a B2B Marketing method, the quality of your sales scripts is particularly important. If you’re not having any success with cold calling, you might want to analyze your sales scripts and look critically at how the script sounds from the point of view of the sales prospect on the receiving end of the call. Make improvements to your script that are aimed at coming across as more helpful and concerned and less aggressive. Word of mouth advertising can be one of the most useful forms of prospecting in many industries. You can encourage customers to refer new business to you by giving them a discount if they bring in a friend or family member as a new customer. You can also encourage new customers via referrals by simply offering exceptional service that your customers are going to want to tell others about. Consider every customer to be an opportunity to improve your company’s reputation and enjoy free marketing. The Internet and website optimization are becoming increasingly important tools when it comes to prospecting. Most likely, you’ve already got a website for your company. However, that doesn’t mean that you’re taking full advantage of the marketing opportunities offered by the Internet. In order to carry out all the tasks that are part of optimization, you need to have some SEO knowledge and you need to know how to boost your website’s rankings on search engine result pages. One important factor in optimizing your site and your company’s Internet presence is content marketing. Content marketing is about offering helpful information for free on your website and on other pages where your company makes guest posts. Prospective customers will appreciate the free information and may be encouraged to do business with you because of it. E-mail marketing is an important means of prospecting via the Internet. In order to engage in e-mail marketing, you’re probably going to first build up an e-mail list of individuals who are likely to be interested in your products or services. You can do this by putting an opt-in option link for getting on your e-mail list on the homepage of your website. When it comes to email marketing, one of the number one things you do is create good, engaging copy that will lead to sales. E-mails need to be set up to show prospective customers that you have a product they want and a solution to a problem they have or a desire they want to have fulfilled. When you’re devising your e-mail marketing campaign, one thing that’s important to remember is that you need to adhere to any guidelines put out by the CAN-SPAM Act to keep your company out of trouble. While you can engage in sending out cold e-mails as part of your e-mail marketing campaign, you have to be careful that you’re not breaking any CAN-SPAM rules. These days, it’s important for any company to understand the importance of B2B Social Media Benefits. For a long time now, social media has been about more than just socializing online among individuals. It’s now an important tool when it comes toB2B Marketing Trends. If your business isn’t active on social media, you’re missing out on a lot of business. If you’re not sure how to take advantage of B2B Social Media Benefits, it’s important to work with and take the advice of expert consultants well versed in the ins and outs of marketing a product or service online. 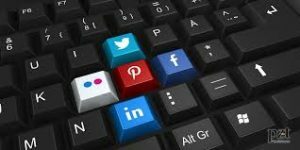 It’s important to realize when you’re using social media for marketing that social media creates a communication channel between you and your prospective customers. It gives you a great opportunity to communicate directly with them, and you need to take advantage of this opportunity. Make sure that you’re always responding to customer inquiries via social media and that you stay active by continually making and updating your posts. One of the most important things to remember when you’re considering sales prospecting using social media is that social media is one of those rare opportunities to prospect more or less for free. Simply opening up a social media page and filling it with information pertinent to your industry is a good idea.